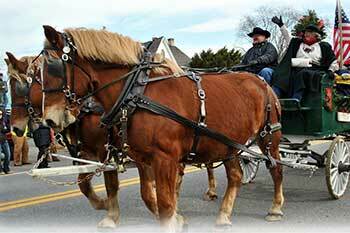 Featuring festively decorated horses, with saddle and pulling wagons, lighted tractors, and music. The parade benefits local food banks & Fire Company. Christmas Village Celebration follows.